The Shannon-one-design is a wooden, clinker-built, eighteen-foot (5.49m) racing dinghy, propelled by a single gunter-rigged mainsail of 140 square feet (15.6 sq.m). The origin of the class was a decision to standardise the dinghies racing on the Shannon lakes, taken by representatives of Lough Ree, Lough Derg and North Shannon Yacht Clubs in 1920. This led to the commissioning of a design (no. 201) from F. Morgan Giles of Teignmouth, and the first craft were racing by 1922. Since then close to 170 have been built, and many of the early craft are still active. There has long been a strong boat-building tradition on Lough Ree, and almost all Shannon-one-designs have come from the yards of skilled local craftsmen, such as Walter Levinge, Pat Keneavy, Peter Quigley and Jimmy Furey. The class continues to be sailed on all three Shannon lakes. New boats are added annually to the fleet. With a large sail and comparatively narrow beam, a Shannon-one-design is a lively performer, especially in a fresh breeze, and requires a three-person crew for normal sailing. The Shannon-one-design is the senior class active in Lough Ree Yacht Club. Racing takes place on selected weekends, mid-week and throughout the week-long annual regatta in August. 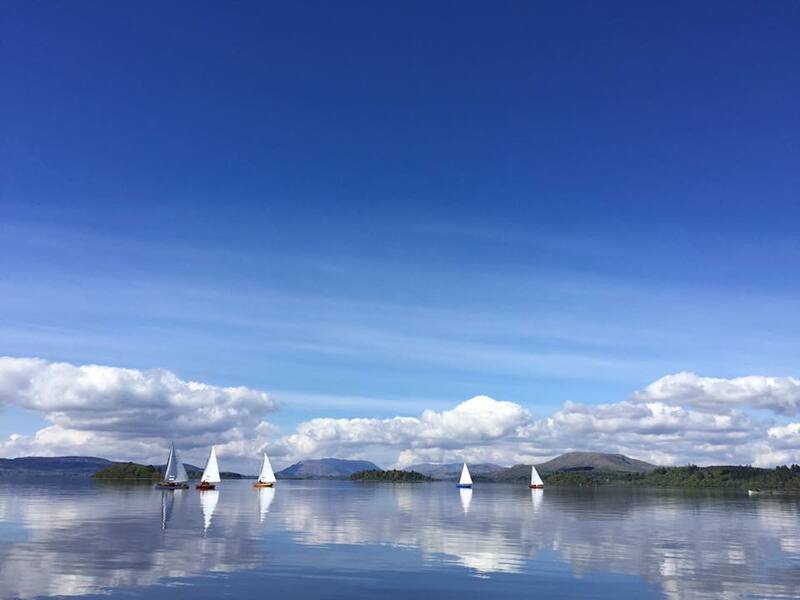 A gruelling two-day race from Lough Ree to Lough Derg is organised by the club towards the end of June, and a ‘barge and sods’ regatta is held ‘up the lake’ in September. The standard of racing is high, with competition keen, especially at the annual regatta in which virtually every race is hotly contested for one of the club’s fine silver cups, which themselves form part of the tradition. The annual regatta attracts visitors from Lough Derg, Dublin and overseas. 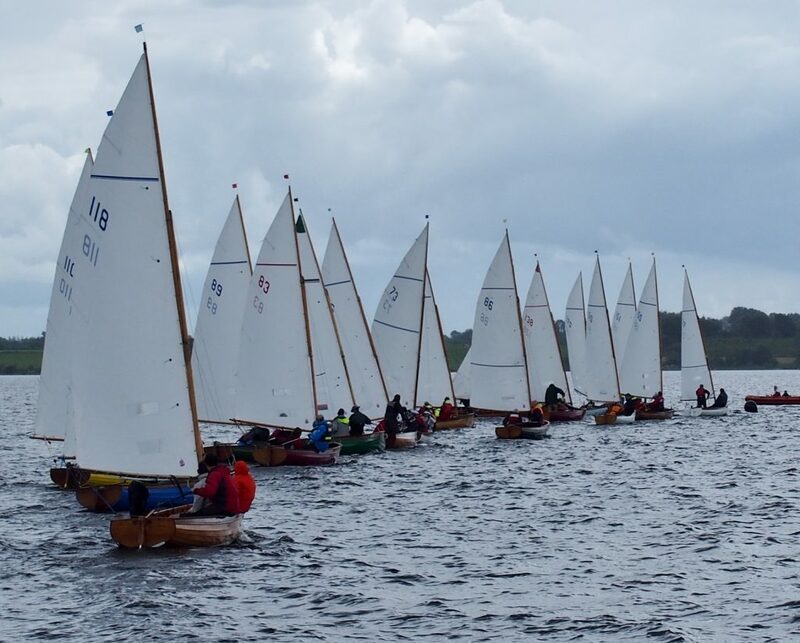 Members of Lough Ree Yacht Club compete successfully at the week-long Lough Derg Yacht Club regatta in August, the North Shannon Yacht Club Regatta in September and also at Cong Regatta in May. Amongst many good sailors in recent years, David Dickson has been outstanding, consistently winning not only the regatta championship, but also the Lough Derg regatta championship and the Delany Memorial Salver for overall Shannon-one-design class champion. Above all, the Shannon-one-design class is a lot of fun, in which conviviality, wit, character and friendship are on a par with the high quality of the racing. Individual boats seem to develop their own idiosyncrasies to complement the eccentricities of those privileged to sail them. There is a strong and growing presence of young people alongside the older sailors. All share a great loyalty to a class, which over three generations has contributed immensely to the pleasure of racing sailors on the Shannon, and to the character and distinction of Lough Ree Yacht Club.